Are you Selling Real Estate and taking back a Seller-Financed Mortgage? How to ensure you get the highest price for your note if you wish to sell it. The better the credit rating of the buyers, the more valuable your note. If they are a husband and wife, find out the credit rating of both of them. many time the wife is earning more than the husband. If you don’t have a credit report, ask the buyers to order a credit report and give you a copy. If they have bad credit, your note can be almost unsalable. If the principal on the note is MORE than the actual value of the real estate expect to take a big discount when you sell the note. An experienced note buyer wants to have some equity in the property in case the buyer defaults. 3. Sell to an owner-occupier. An owner occupier will be more likely to make their payments because this is their home. 4. Actual, provable value of the real estate. If you are taking back a note there is no legal reason to have an appraisal. But if you intend to SELL the note, any experienced note buyer is going to want to know what the property is worth. Access difficulties may make it harder to have an appraisal done after you close on the sale. See our article on mortgage fraud. 5. Who are the buyers? If the buyers are husband and wife they BOTH need to sign the note. If the buyer is a corporation, trust or LLC then make sure the principals also PERSONALLY sign the note. If they refuse to do so this could be an indication they will let the note default if the deal doesn’t work out for them. This may not apply if the buyer is a substantial corporation. If the borrower is NOT a substantial corporation, then the note could be either unsaleable or only saleable at a much larger discount to reflect the lack of personal liability. There is no doubt that a seasoned note, where the buyers have made payments for a year or more, is more valuable than a new one. But of course you won’t have this option if you want to do a simultaneous closing. Keep records of the monthly payments you receive. Preferably a photocopy of their checks or money orders. Bank the money and keep the bank statements. 8. Institutional lender allows secondary financing. There are many institutional lenders, banks etc. that will not permit secondary financing behind their note. Why not? After all, their lien has priority. The answer is simply that they do not want to the borrower to be stretched to make their payments. Also they would sooner the buyer put down more cash or pay for mortgage insurance (a fancy way of saying a higher interest rate. If your mortgage is a second mortgage, it should be a properly recorded mortgage or deed of trust to comply with your local laws. Use proper documentation. Have the sale closed by a professional closing agent, like a title company. 11. Rights with respect to first mortgage, if you hold a second. If you are holding a second mortgage it should contain language to the effect that a default on the first mortgage is a default on the second. Also that you, as second mortgage holder have the right to check on the payment status of the first. It is preferable to use language that REQUIRES the borrower to mail proof of payment of the first mortgage when they mail the check for their payment on the second. 12. Loan to Value ratio. LTV. For a note to be marketable the total LTV, that is including the first and second mortgage (if any) should be no more than 75% of the actual value of the property. However, if the buyer’s credit is good, this 75% could refer to the Investment to Value or ITV. In other words, the amount the note buyer is investing in the note. Thus, if the property is worth $100,000 and the buyer has put down a 10% payment and has a $90,000 mortgage, you could get $75,000 (75% of the value) for your note. 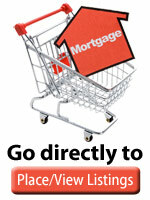 See our charts for safe mortgage lending. Beware of someone who does not have the cash to make a down payment. They want a nothing down deal. Be assured that it will be very hard to sell the mortgage for cash because the buyer has nothing at risk. Furthermore you greatly increase the risk that they will default if there is a problem. Job loss, economic downturn etc. If the buyer doesn’t have enough cash to give you at least 15% down payment then take at least 10% and create two mortgages. One for 80% of the sales price and the other for the 10% difference. The 80% LTV first mortgage is the one you will be able to sell. Other things being equal, the higher the interest rate, the higher the price you will receive. But be aware of laws concerning Usury and Predatory lending. A below market interest rate will demand a hefty discount to be saleable. 15. Length of note to short. Typically it is hard to sell a note with a short balloon, or a balloon due in just 6-12 months. The note buyer will be concerned that the borrower won’t be able to refinance and pay them off. But a loan with for example, 3-5 years to run, and a 30-year amortization is going to be saleable, other things being equal. 16. Length of note too long. The note buyer won’t usually want to wait 30 years to get paid off, but these notes can often be sold to institutional note buyers.